Nestled in the Woodlands of Jonker's Farm, we were lucky enough to be back here to set up another custom grazing for a beautiful couple - Kayla McAlister and Pita Ahki. Brilliant warm orange, yellows and pops of maroon framed by luscious green here and there made for a visually captivating and inviting grazing. The wooden plank and barrels helped to pull together a beautiful rustic look. We fell in love! 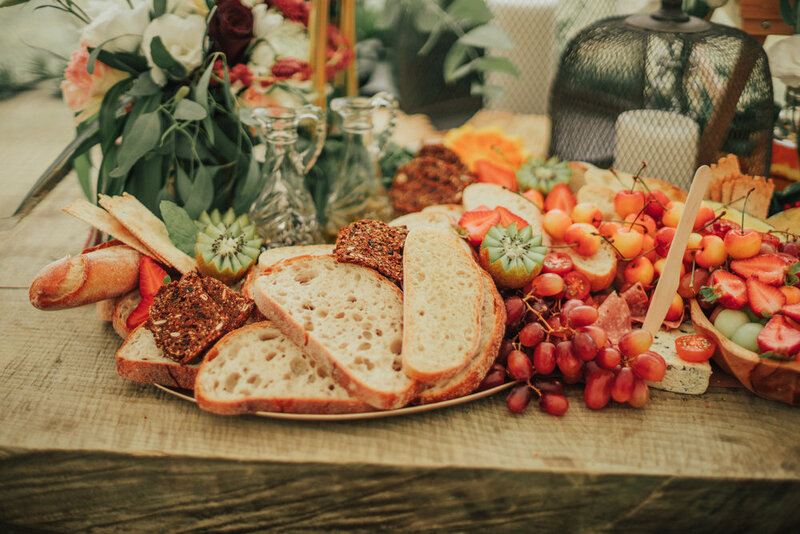 Grazing tables are perfect for weddings, right after the ceremony and just before dinner is served. 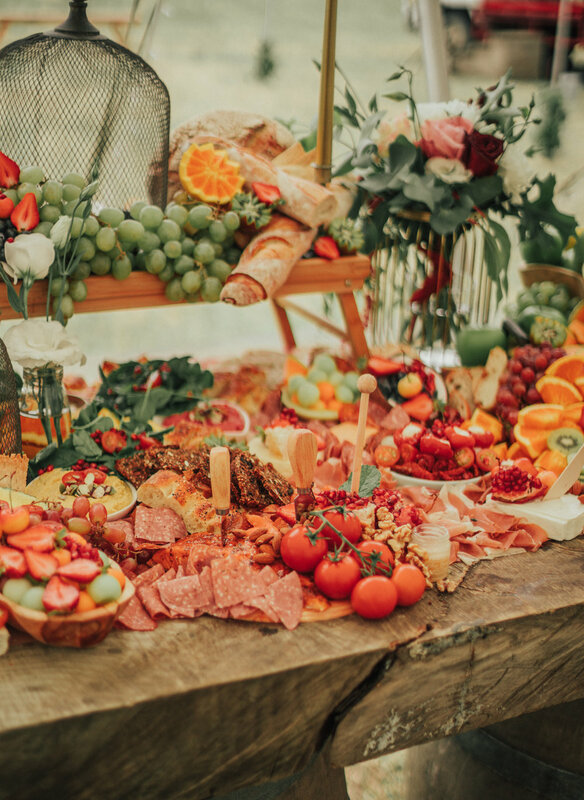 We know you want to pop away for a few sneaky photos, so what better way to keep your guests entertained and happy with a beautiful grazing table. There is such a variety of food that we are sure to keep all your guests happy! Congratulations to the happy couple and we wish you all the best in your future endeavours. Also a big thank you to Wild Souls Photography for capturing these amazing shots! If you need professional wedding or special occasion photos, hit them up!